Raised in the suburbs of Seattle, headed south to Los Angeles with a toolbox of Wii-motes, keyboards, and drums to develop a live rock show that CMJ Magazine claims worthy of “an 8-bit warrior, seamlessly creating danceable electro beats with his Wii remote and Sega Genesis controller on par with the Chemical Brothers. 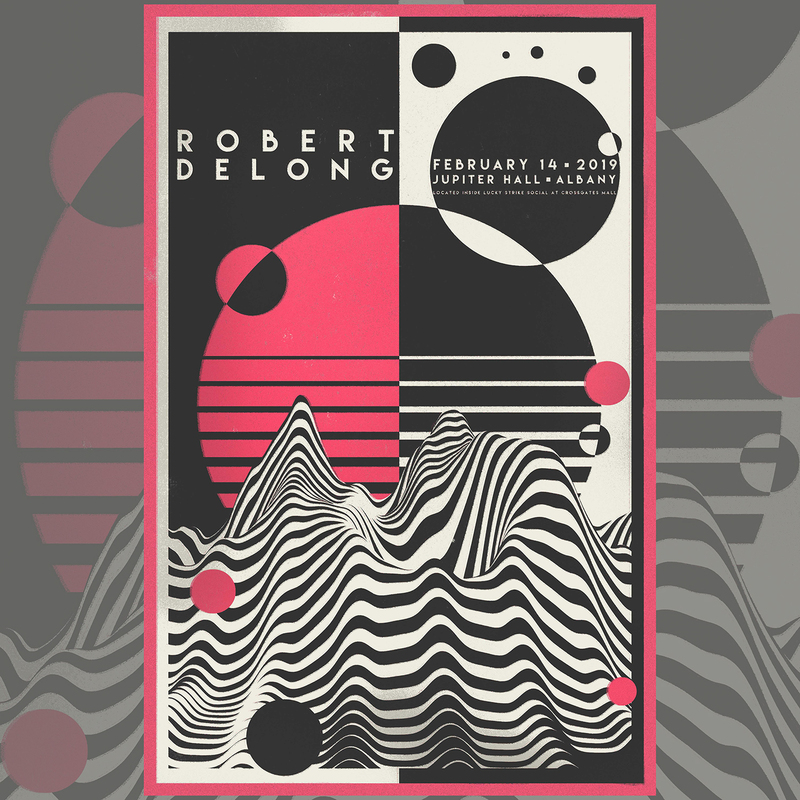 “DeLong began performing his genre-bending songs in 2010, where he uses MIDI interfaces, a full drum set, drum pads, keyboards, laptops and game controllers, looping his music to fuse electronic dance beats with rock ‘n’ roll melodies. See You In The Future, the latest EP released October 19, 2018 by DeLong includes recent collaboration with K.Flay, “Favorite Color is Blue,” which went Top 12 at Alternative radio, and “Revolutionary” which hit Top 30 at Alternative radio. DeLong also joined forces with producer extrodinaire, Ricky Reed [Twenty One Pilots, Galantis] for “First Person on Earth,” which he calls his “very first love song.” Written the day after the 2016 election, the aptly titled, “Beginning of the End” – produced by Tim Pagnotta – tempers widescreen festival-ready melodies with intricate production punctuated by video-game esque bleeps and rich electro flourishes.